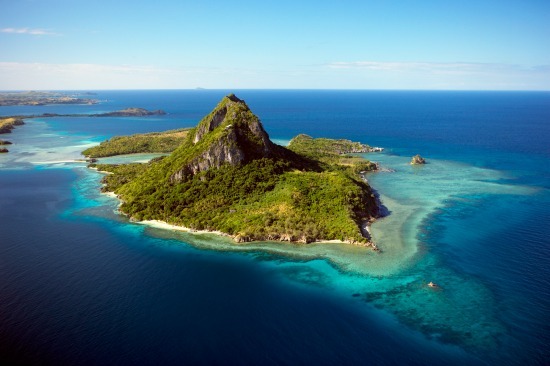 Yasawa Islands - Discover remote getaways on stunning islands! Looking for idyllic remote getaways on tropical far flung islands? 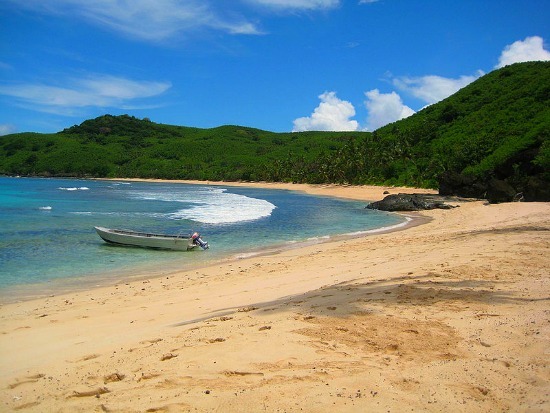 Discover the Yasawa Islands Fiji, some of the most amazing tropical islands in the world! 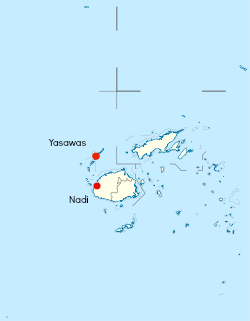 The Yasawa Group is an archipelago of around 20 or more gorgeous tropical islands. They are located past the Mamanucas, and so, can take a few hours to get to depending on your mode of transport. But, it's more than worth it! They are some of Fiji's most stunningly beautiful islands, and without the crowds of the Mamanuca Islands. If you're after a remote island getaway 'away from it all', then this is it. The Yasawas is sparsely populated with a sprinkle of villages and schools. Often you will be given the opportunity to visit, and a donation or gift will go a long way in helping out these villages and schools. So you've arrived at Nadi International Airport and you can't wait to laze in your hammock, now how to do the final leg? This would depend on where you've booked. Luxury resorts Yasawa Island and Turtle Island (check below) have their own mode of transport. That is organised upon booking. Sea - For all other accommodations most people use The Yasawa Flyer. It's a comfortable high-speed catamaran that leaves from Denarau Marina (Denarau Island) near Nadi, and has scheduled stops throughout the Yasawa Islands. Depending on your resort's location, this could take up to 4½ hours. A private water taxi with Mamanuca Express or Sea Fiji has 24-hour operations to the Mamanucas and Yasawas for a much quicker trip, albeit, a considerably steeper rate. Air - Want a bird's eye view? Or perhaps a ferry ride just doesn't cut the mustard on your dream island getaway? Then a seaplane or a helicopter passing over the gorgeous Mamanuca 20-island group, to your equally idyllic 20-island Yasawa destination is a wonderful trip. I hear romance in the air! You really wouldn't be moving around too much unless you're on the island hopping pass with The Yasawa Flyer. Or you are doing more than one resort, in which case, in all likelihood you still are using the Yasawa Flyer. Your resort also organises trips around for sightseeing, diving, snorkelling, including to uninhabited islands, beaches, and caves. Given the Yasawas' exotic remote nature, there are virtually no options for buying anything outside your resort. If you need anything, like sunscreen etc, best bet is to purchase it either in Nadi or at Nadi International Airport on your way through. You're coming to a remote island for a stunning getaway. You don't need your ipod, laptop, or even your watch. Time doesn't exist out here, it's paradise. It would be a travesty of justice to be watching TV/laptop when you could be swimming in azure waters, with your hammock waiting to be used afterwards. Pretty much all of the featured Yasawa resorts below are isolated on beautiful remote tropical islands. It's a little bit farther past the Mamanucas with equally gorgeous islands, however, with smaller resorts and less crowds. The Yasawa interactive map shows you Yasawa accommodation options amongst other things. Over time, this will fill out to include activities, cruises, sights etc.